Both osteoblastic and osteoclastic cells regulate bone metabolism, and both cell types are involved in the development of osteoporosis which results from an imbalance of greater cell resorption than formation. Osteoblasts are bone-forming cells while osteoclasts are bone-resorbing cells; bone resorption by activated osteoclasts with subsequent deposition of a new matrix by osteoblasts causes the formation of bone structure and bone remodelling. Imbalance between bone formation and bone resorption is the key pathophysiological event in many metabolic bone disorders in adults, including osteoporosis, with the result of bone loss. Oxidative stress is a pivotal pathogenic factor for age-related bone loss, leading to an increase in osteoblast apoptosis (cell death), among other changes, and a decrease in osteoblast numbers and the rate of bone formation. Recent studies have also shown that oxidative stress inhibits growth of osteoblastic cells. Osteoblasts can produce antioxidants to protect against oxidative damage by free radicals but they seem to benefit from the intake of additional antioxidants from the diet. Free radicals are also involved in bone resorption by having a direct effect on bone degradation as well as increasing the growth and function of osteoclasts. Enhancing the activity of osteoblasts, plus reducing that of the osteoclasts, may help restore the balance in bone metabolism and limit bone loss in the development of osteoporosis. There is mounting evidence that plant based drinks such as coffee and green tea contain many bioactive ingredients that provide some protection against osteoporosis. This is supported by data from in vitro, ex vivo, and in vivo animal studies and human epidemiological findings. The beneficial effects of these bioactive substances appear to be mediated through antioxidant pathways. The beneficial effects of antioxidants on bone suggest that foods and drinks with a high antioxidant content may be effective in helping to prevent bone mass density loss in patients with low bone mass. It is important to note however that even though antioxidants and their active metabolites are found to be useful in treating bone loss, there is still a lot more research needed in regard to the translation of findings in animal observations and how this is applied to humans. Evidence from all animal studies only shows an increase in BMD without testing bone strength and anti-fracture capacity; these animal data mainly focus on long bones, while the published human data are for spine and hip. In addition, there is still limited data supporting the BMD increment and anti-fracture effect of antioxidants from long term studies. In future human studies, plant based antioxidant foods and drinks need to be given for long-term periods, the bioavailability should be monitored via validated biomarkers, and effects on bone mass should be evaluated through imaging technology in order to ensure their possible benefits in treating osteoporosis. Dr Sarah Schenker is one of the most high profile and influential nutritionists in the UK and appears regularly in the media as well as regularly writing for magazines, newspapers and journals. Sarah graduated from the University of Surrey with a BSc (Hons) in Nutrition and State Registration in Dietetics. After gaining three years clinical experience at St. Thomas’ Hospital in London and the John Ratcliffe Hospital in Oxford, Sarah entered the world on academic research at the University of Oxford and the Institute of Food Research in Norwich. There she gained her PhD in human nutrition. She is a qualified Registered Dietitian, Accredited Sports Dietitian and Registered Public Health Nutritionist. 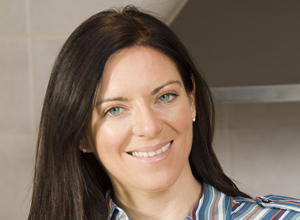 Sarah is a member of the British Dietetic Association; The Nutrition Society; The Guild of Health Writers and has served on both professional and government committees. You say above there is evidence drinks *such as* coffee and green tea may prevent osteoporosis. Can you point me to any specific studies that showed coffee specifically actually does have that effect? Thanks.